This mod makes several minor changes across the game, primarily increasing or decreasing the power of various things in order to bring them into balance. No new items or graphics are added. I've got another mod (Reaver's Faithful) which adds a lot more content while still remaining faithful to the original feel of the game. This mod is even more faithful to that original feel as it changes almost nothing about the way the game feels. This mod is dedicated to those of you who want to bring back that old nostalgia but with better game balance. * Alien TUs increased. Aliens will be more mobile and will seek you out more. * Alien reactions decreased. High starting reactions on your soldiers (50-60) is now high enough to feel a difference. * All difficulties have a different alien armor multiplier, thus making a larger difference in difficulty. Superhuman has +50% armor on aliens. * Buffed Stingray, Fusion Ball, Laser Cannon; nerfed Plasma Beam -- Cannon left untouched. It's too awful, I can't fix it! * Inventory pistol slots! Leg slots made vertical. Shoulder slots still horizontal. * Soldiers start with 40-80 psi strength. Max is lower but range is much smaller. This mod is designed to work without UFOExtender Accuracy, meaning the aimed shots have much higher base accuracy than snap shots rather than relying on range to make the difference. It'll work just fine with UFOExtender Accuracy if you prefer to play that way. If you don't like any of the changes, you can simply edit them yourself or delete the corresponding section of the mod ruleset to restore it to vanilla values. Alternatively you can tell me about it here and suggest changes. Am liking it so far. One of the best mods ever. Thanks, Reaver! You're very welcome, and thank you!! why didnt you just make a new thread? why post this in another mod's thread? also this is a real old mod, wow, this could take a while to convert to the current standard. I could be wrong, but in my opinion what is attached is not what we now call a mod. 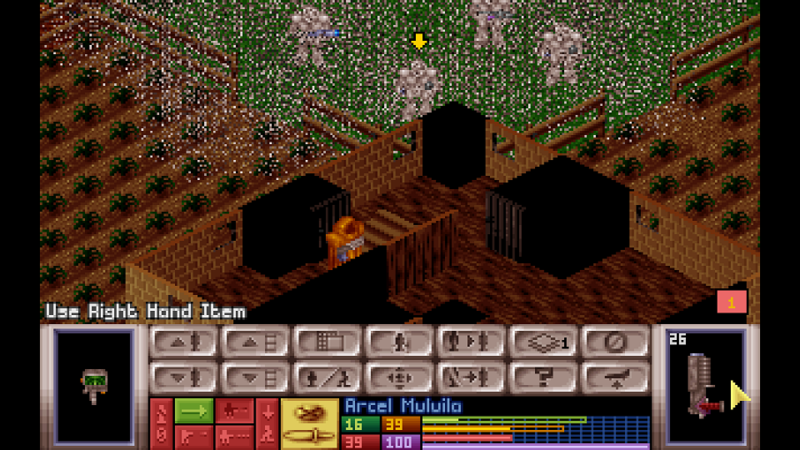 This is alpha version 0.4.5 of OpenXcom itself, the predecessor of OpenXcom 1.0. At first glance, apart from vanilla UFO, there is nothing inside, and indeed it is trimmed, since then the game was not fully realized. Launching it now by itself should be easy if you follow the instructions in the archive. It will only be necessary to add the data of the original UFO game (previously used this format) to the DATA folder and run the attached exe-file. As a separate mod, it cannot be used in the archive. But this is just one more way to play vanilla, and even incomplete. It is much easier in the same OXCE to turn off all the mods and play it. Again, apologies to Reaver for clogging his thread. Please feel free to delete this post.